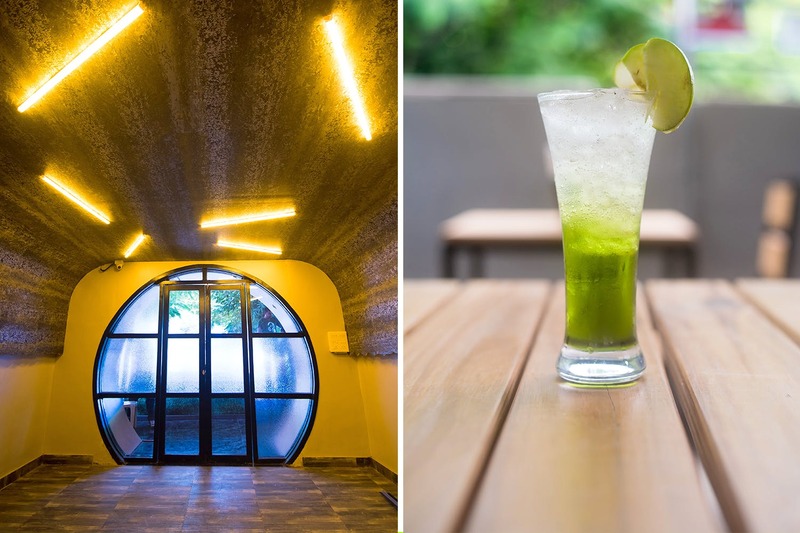 45 Highball is the newest resto-lounge in Baner and is winning hearts with its stylish interiors and amazing food. 45 Highball, which recently opened to the public on July 19, is the newest place to hang-out and have a hearty meal with the gang. The lounge has a separate family restaurant and a roof-top lounge. With bricked walls, huge windows, high-raise chairs and pretty interiors; it also has a rooftop section that offers an amazing view of Baner and boasts of a huge dance floor, an in-house DJ and a chilled-out ambience. Coming to the food, 45 Highball serves delicious multi-cuisine grub and a limited variety of cocktails. We recommend you to try their potato cheesy bites, Malaysian prawns and banana leaf steamed fish. Also, their signature hand-crafted pizzas are a must-have. We hear they are going to host live band performances and karaoke nights very soon. Also, they plan on serving sheesha soon. As the restaurant primarily focuses on providing great food, we would love it if they offered more cocktails options. We think the weather is just perfect for an evening at their rooftop section.